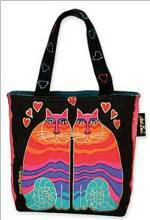 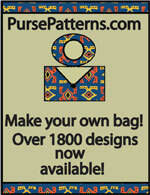 Checkbook Cover - Retail $10.00 [LGD204] : Wholesale Purse Patterns, Purse Patterns at wholesale prices for quilting shops, craft stores, and fabric shops. 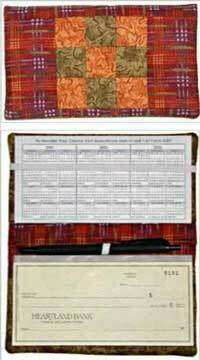 Checkbook Cover pattern that has instructions for a plain fabric cover or a 3" block design. 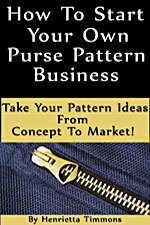 This pattern is easy to make and fits standard top bound checks and registers. 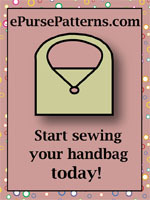 The Checkbook Cover pattern is also fat quarter friendly.